Former police sergeant Maria Kallio gladly left her tiny Finnish hometown of Arpikylä without looking back. 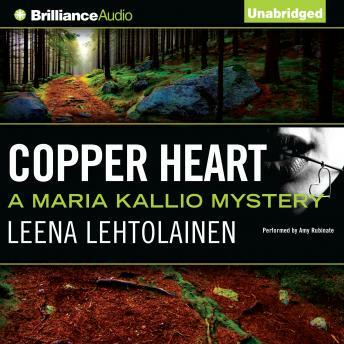 But even though Maria despises the small town and the acrid smell from its now-closed copper mine, when Arpikylä’s sheriff asks her to serve as deputy sheriff for the summer, she agrees. What should have been a quiet summer soon turns dramatic—and deadly. Meritta, an outspoken local artist, plunges to her death from the copper mine’s tower, and Maria immediately suspects someone helped her fall. Now Maria must face the harsh truth that one of the town’s residents killed Meritta, and friends Maria has known for decades all harbor their own murderous motives—even Johnny, her gorgeous former crush who almost makes her forget about her long-distance boyfriend, Antti, who is studying in Chicago. In this thrilling addition to the internationally successful Maria Kallio mystery series, the past and present of the beloved Finnish detective violently collide, leaving her future in grave danger.